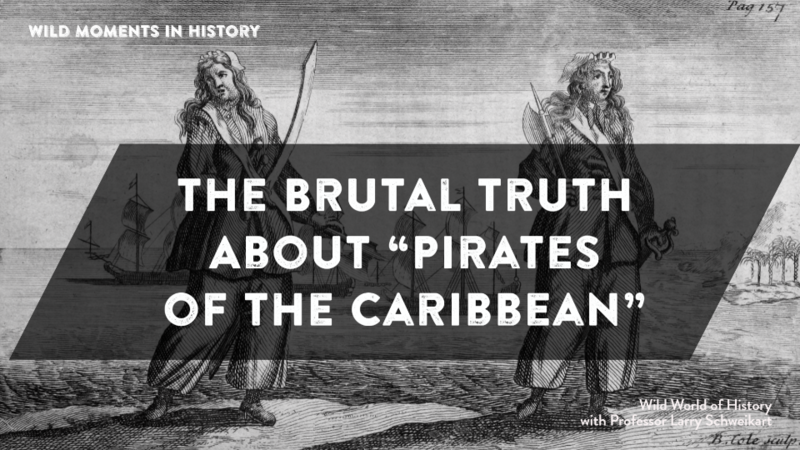 Did you know the “Pirates of the Caribbean” were not the jovial types presented at Disneyland? Most of us have taken the “Pirates of the Caribbean” ride at Disneyland or Disney World. Lots of happy, cheerful pirates playfully drinking and ineffectively shooting at barrels, with Johnny Depp popping up from time to time. The pirates were terrorists and slavers of the day. They routinely held people whom they did not kill as hostages, which is how they made side money. But when they took a ship, often most of the crew walked the plank. It was even worse, though, for some cities. Pirates did not restrict themselves to attacks at sea. They invaded and sacked Panama City and in one instance, their brutality was well documented by a doctor who accompanied them, Alexander Exquemelin. He recorded that at Panama City, they were convinced the mayor know where a stash of gold was located. When he didn’t give up the info quickly, the pirates sliced a hole in his abdomen, pulled out his intestines—which they nailed to a tree—and used torches to drive him around the tree until he pulled his guts out! As word of the pirates’ atrocities reach Spain in the 1500s, it had a dampening effect on the already tightly-controlled Spanish immigration to New Spain (today’s Mexico and the Southwest U.S.). In part, because of the pirates, Spain will find itself behind the much smaller English colonies on the North American east coast who were encouraged to acquire land. England brought in immigrants on purpose, via “headright,” which gave each family up to 250 acres, making them the equivalent of European land barons. And this all occurred, in part, because of Johnny Depp. Well, more or less. For further reading, see B. R. Burg and Larry Schweikart, “Stand By to Repel Historians,” The Historian, 46 (1984).